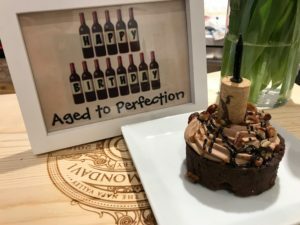 A birthday wine tasting experience with Vine and Vintage will change how you feel about making a big deal about your birthday once you reach a certain age! If you answered A, I am not sure what to tell you, except, don’t lose hope? Think of yourself as a bottle of fine wine, getting better and more beautiful with age. 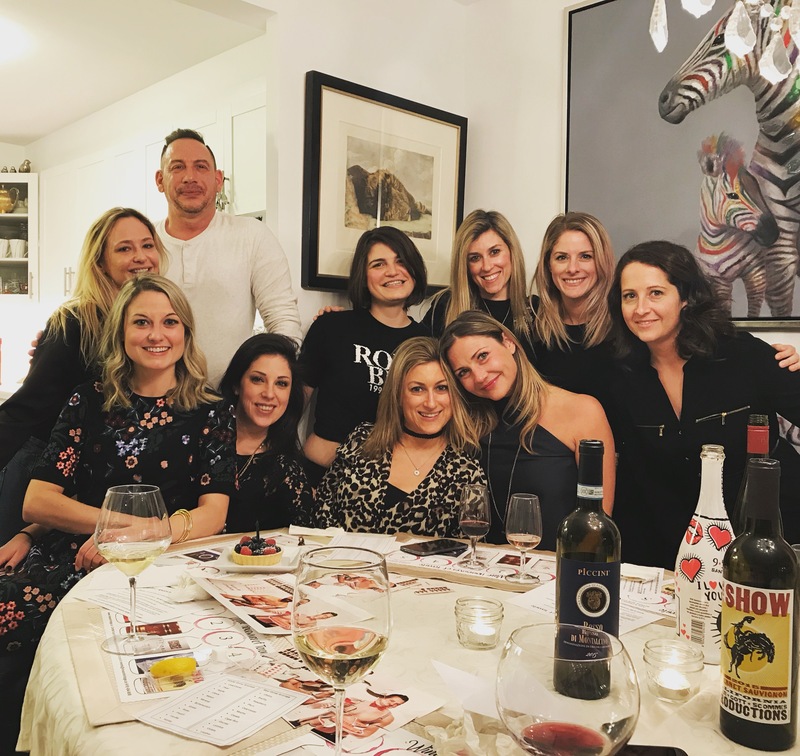 If you answered B, I want to share a recent experience of a birthday wine tasting we created for Kate, Lindsey and their friends. It may spark some interest and give you a way to update that idea list. 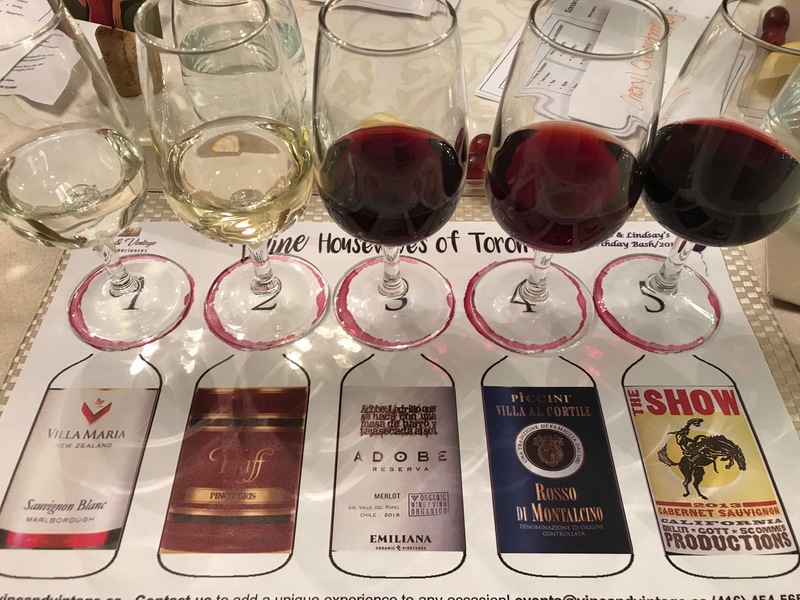 I appreciate a client who puts me up to a challenge of creating a personalized wine tasting theme that speaks to them and their world. 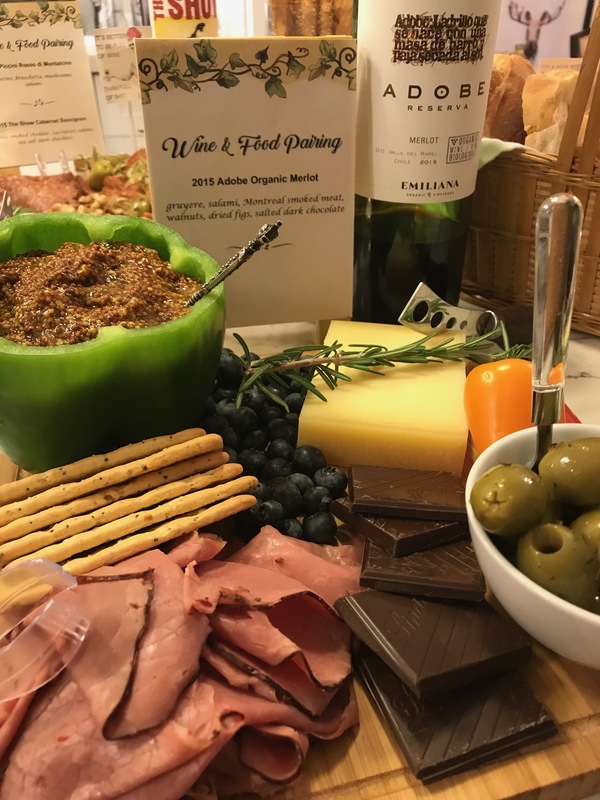 As a spirited Millennial, Kate informed me that her friends were outgoing and boisterous and wanted to add a little spice to their wine & food pairing experience. 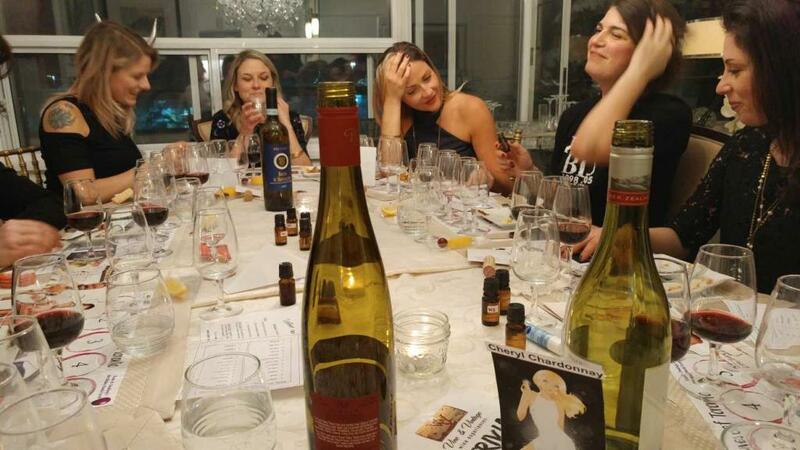 Wine Housewives of Toronto, was the theme for we decided on for this birthday wine tasting. Here is how the night unfolded. It was a classic winter night in Toronto, a snow storm in full swing. 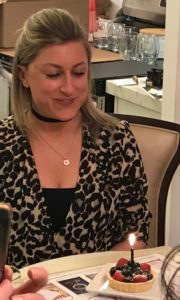 Fortunately, Kate’s amazing group of friends fought through the snow, relentless Uber drivers that cancelled, and didn’t let anything get in their way of celebrating our birthday wine tasting with their friend. 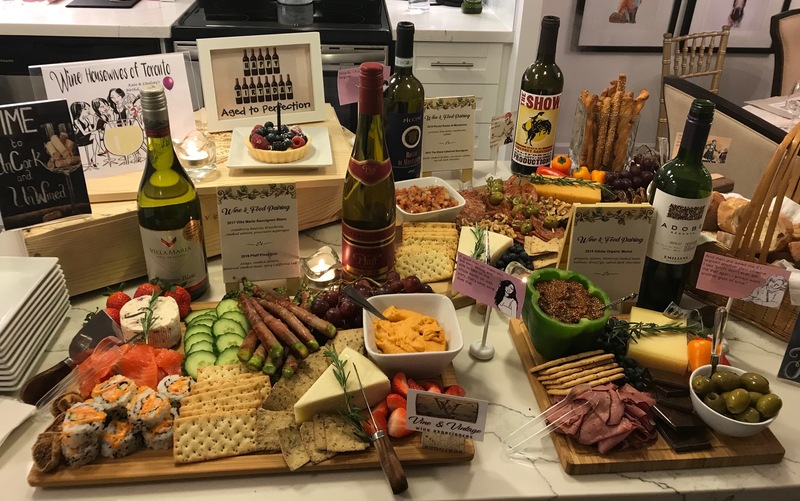 We were prepared and waiting for each guest’s arrival with a glass of bubbly and an elaborate charcuterie spread of gourmet cheese, meat, sushi, seafood, veggies, chocolate, and more. From the moment they walked in and saw the event setup, and the joy of being surrounded by friends, their frustration melted and their memory of how unpleasant their evening started, simply faded away. It was thrilling. 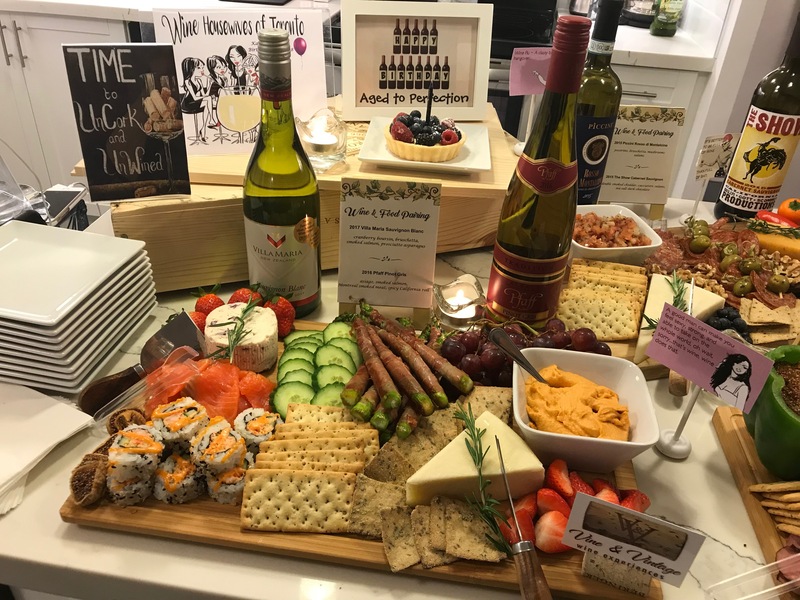 let’s connect and plan your celebration! 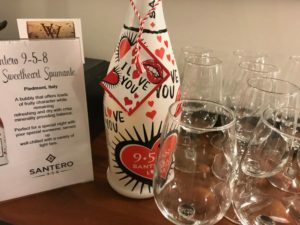 We toasted with the Santero 9-5-8 Sweetheart Spumante. A crisp and refreshing prosecco, loaded with fruity character and minerality. I love this sparkling wine as the label on the bottle is always changing to commemorate a certain holiday, yet, the wine inside is always just as delightful. I am sure you guessed this label is for Valentine’s Day and has been featured at the front of most LCBO stores for the occasion. 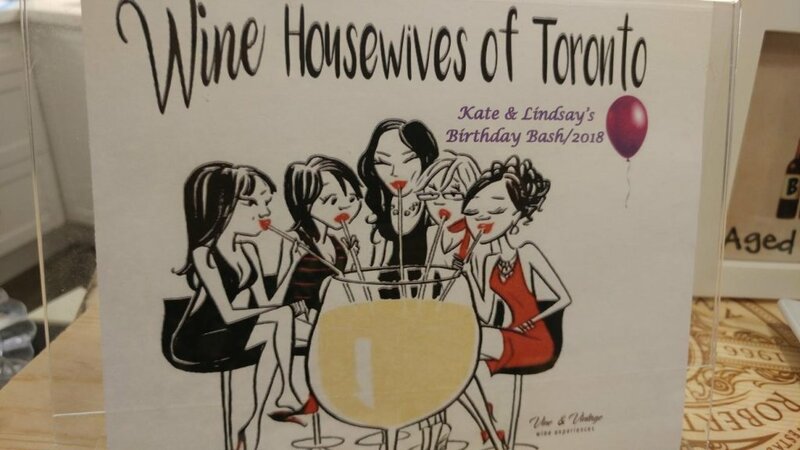 Let’s get into our birthday wine tasting theme, Wine Housewives of Toronto, the best part of the night! 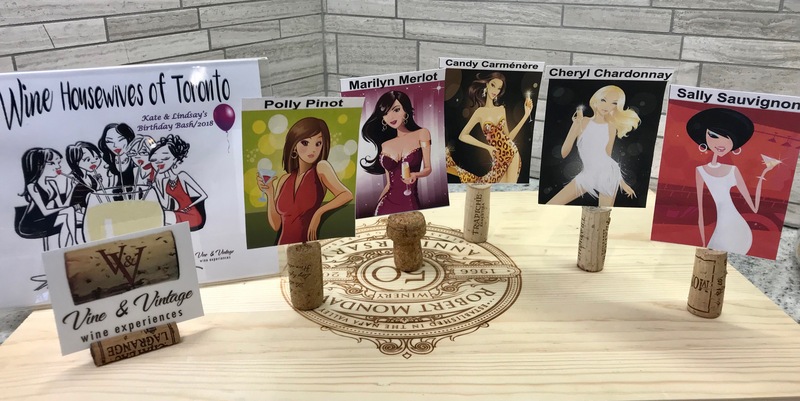 Meet Marilyn Merlot, Polly Pinot, Cheryl Chardonnay, Sally Sauvignon and Candy Carménère, our five wine housewives. In pairs, guests picked a housewife character to be for the evening. Each team was given an envelope that contained a puzzle they would have to piece together throughout the event. 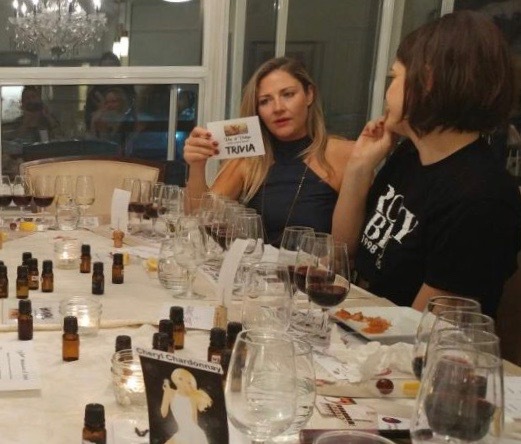 During rounds of wine trivia and smelling aroma vials, teams drew puzzle pieces from their envelope if they correctly guessed an answer. Are you ready for that spice I mentioned before? Below you can view what the puzzle looked like when pieced together. A picture of each birthday girls’ significant other was used to tie into the fun (their heads only). **Please note their faces have been covered to respect their privacy for this blog. It was definitely a new experiment for us and a great laugh for the group! The best part was their reaction while putting together the puzzle. Let’s talk about two of the favourite wines of the evening. As one of the first wines of the night, the New Zealand wine from the Marlborough region was very well liked by the group. What is not to love about a classic Sauvignon Blanc; refreshingly vibrant and intricate, a lovely melody of gooseberry, citrus and melon flavours that is only enhanced alongside the right food pairing. We enjoyed goat cheese, smoked salmon and prosciutto asparagus with this wine. From a 100% organic, biodynamic and sustainable winery, Emiliana, this bright ruby red, soft and fruity merlot was a hit. Not only did guests ooh and aah over Emiliana’s green philosophy and their approach of organic farming, they admired how the community works as a whole to better their land, themselves and their livelihood. They also appreciated the price point. Even a few who weren’t huge merlot fans, really enjoyed this wine. We paired the merlot with gruyere cheese, Montreal smoked beef and walnuts. It was delicious. Any type of occasion is worth celebrating and making moments to remember. A night like this is what we strive to do at Vine & Vintage. 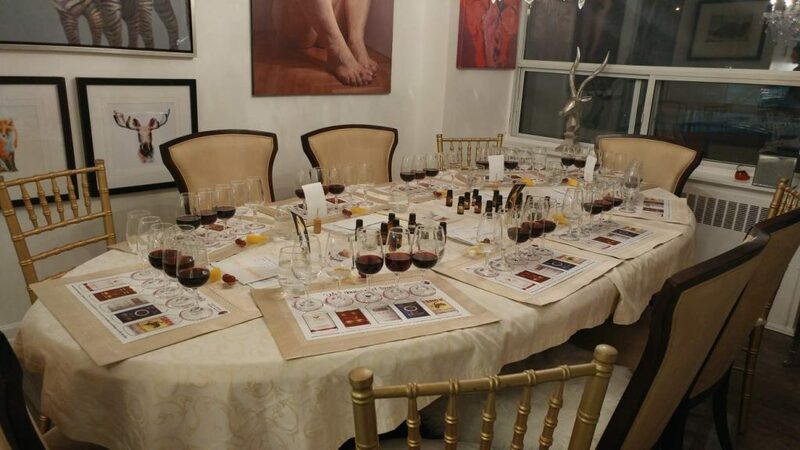 We turn wine tasting into an interactive and entertaining event, a theme into a personalized customization and any experience into a memorable one. Happy Birthday Kate & Lindsey! 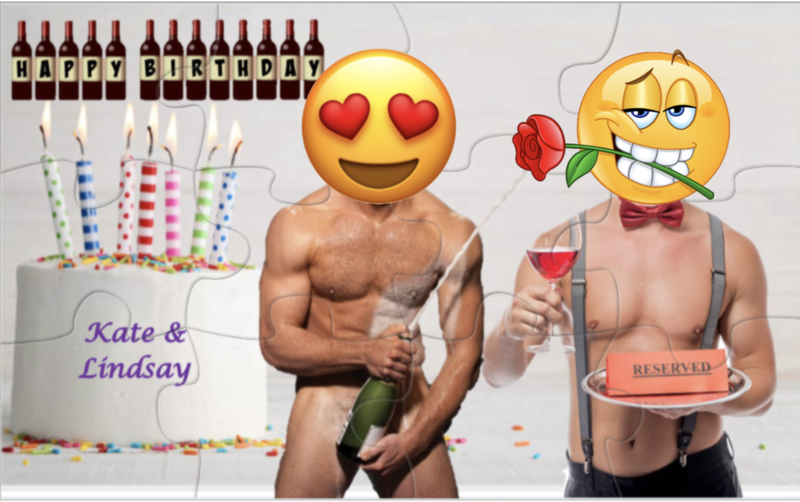 Hope you enjoyed your birthday wine tasting. May you continue to age as beautifully and perfectly as the best kind of wine.